Whoa. 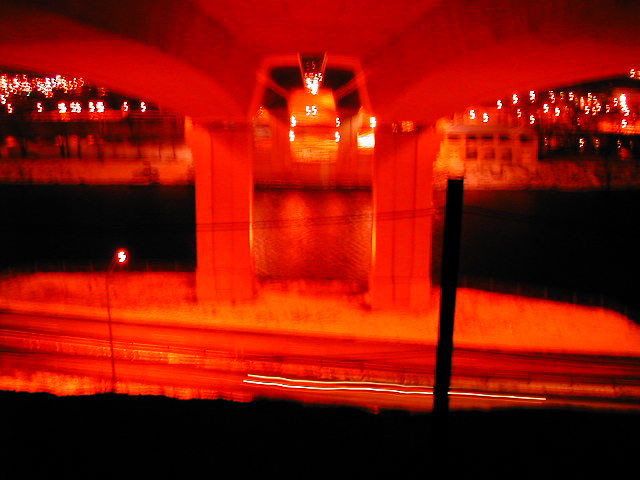 The view from the ledge up under the bridge, according to Slim Jim's demon-possessed digital camera. The arches on either side are the bridge "tunnels" we later got into.